Recent talk about HIV and aging has almost always been scary. A number of studies conclude that people living with HIV have so-called “accelerated aging”—meaning they will suffer heart attacks, strokes, cancers, and osteoporosis more often and sooner than those without HIV. Reading and hearing about these concerns can be disheartening, especially for those who have fought so hard, over so many years, to control their HIV. Well, this is one article on aging and HIV that will challenge the concept of people living with HIV having an early expiration date. Instead, we can look at what we know and what we don’t, to get a better idea of what the risks are for HIV-positive people growing older—and what they can do about them. HIV-positive people are definitely at increased risk of cardiovascular disease, certain types of cancers, neurocognitive impairment, and weaker bones (collectively what I will call “age-associated badness”). I know, that is a pretty gloomy realization to start with when trying to argue that HIV infection does not lead to accelerated aging. However, what the statistics show us is that people living with HIV have a greater chance of these serious problems, to a large extent, because they are more likely to have the traditional risk factors for each of these conditions—the factors that are seen in the general population as the main drivers of such conditions. For example: People who smoke, don’t exercise, eat unhealthy diets, and live with high levels of stress are more likely to have cardiovascular disease than those without these risks. Rates of smoking alone are up to three times higher among HIV-positive people than in the general population. It is not a stretch to say that people living with HIV are also more likely to experience those other traditional risks. 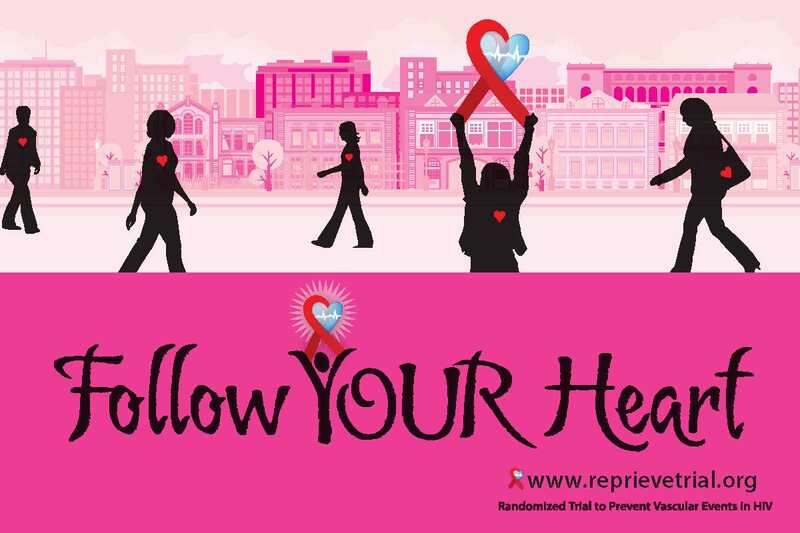 Therefore, it follows that people with HIV would have more heart attacks and strokes—and they do. In contrast to the notion that the development of age-related badness is a foregone conclusion, people living with HIV often have the power to tilt the odds in their favor by taking action. Not all risks can be eliminated, for sure. You can’t take back 30 years of smoking, but you can stop smoking. Moreover, you can also reduce your risks in very traditional ways. Like any aging American, people with HIV should have their risk of cardiovascular disease assessed by their clinician. Using cholesterol values, blood pressure readings, age, race, and diabetes and smoking history, the 10-year and lifetime risk for cardiovascular disease can be easily estimated based on data from huge numbers of people (yes, there is an app for that). This risk score can inform recommended interventions—from doing nothing, to making dietary changes and exercising, to starting medication. Cardiovascular disease risk can absolutely be reduced, with lifestyle changes, as mentioned; better control of blood pressure and blood sugars; and in many cases medication, particularly drugs like lipid-lowering statins or aspirin. Recent data even show that rates of heart attacks and strokes among HIV-positive people in care have dropped and are now about the same as those for HIV-negative people. This has been attributed to some of the factors I’ve mentioned, including smoking cessation, control of cholesterol and blood pressure, and the push for an earlier start of HIV medications. We should not short-change other interventions that help people stay healthy as they age. These include basic things, like vaccinations. Many people don’t get the influenza vaccine, believing it will make them sick—placing themselves and others, including children, at risk for this potentially devastating infection. The flu shot cannot cause the flu (it is an inactive vaccine—not alive!). We should all get it every year. Other important vaccines include those for strep pneumonia and shingles. Inflammation is our body’s way of responding to damage or threats. Hit your thumb with a hammer and you get lots of inflammation in your thumb. This is because damaged cells sent signals to other cells that something harmful happened and needs to be dealt with. Less obvious is inflammation that occurs in response to more chronic insults like bad gum disease, high-fat diets, or infection with HIV. Here, too, signals are sent and can provoke responses that, unlike the sore thumb, persist, keeping the body in an active state of response that can hurt organs over time. Note the use of “in general.” This is to make loud and clear that these studies do not show that all people with HIV have high levels of inflammation. In fact, the studies looking at this have found a range of inflammation among HIV-positive people with many (maybe most) having low levels of inflammation. It is only when they look at overall averages that they can see differences between groups. Additionally, it is unclear what these levels of inflammation really mean, as they can change over time and we don’t know for certain what is a good, concerning, or dangerous level of inflammation markers. It is also hard to know to what extent any of the inflammation seen in these studies is due to HIV, HIV medications, or something that is more unique to HIV-positive people. There may be a role that the virus continues to play, even when controlled, that contributes to age-related badness, but with so much else going on, it is hard to say how big this role is. Actions that can help reduce inflammation include the usual suspects: good diet, good weight, good exercise, good control of diabetes, good control of blood pressure, and so on. HIV therapy itself (especially started early, before CD4+ cell count declines) reduces levels of inflammation markers—likely by controlling the virus—and that may be the most important intervention of all for HIV-positive people getting older. David Alain Wohl, MD, is a professor of medicine in the Division of Infectious Diseases at the University of North Carolina (UNC). He leads the UNC AIDS Clinical Trials Unit at Chapel Hill.